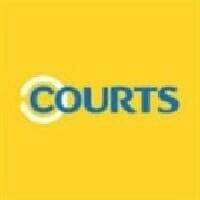 Courts is a leading retailer in Southeast Asia and has expanded its range to include electrical, IT and furniture products. Innovative sub-brands that have been launched include Ultimate Screens, Cool Zone Plus, YourBedroom and Market Hall. In line with Courts' mission to 'make aspirational home products easily affordable', the retailer abides by the 'Courts Price Promise' and is committed to offering competitive prices across its product range. In addition, Courts Flexi-Scheme, its in-house credit is available as one of the payment options.